HomeKTLA is moving its “Sunday Edition” from 9:00 to 7:00 p.m.
KTLA is moving its “Sunday Edition” from 9:00 to 7:00 p.m.
FIRST ON THE BLOG: The CW Primetime is coming back to Sundays and therefore, KTLA is moving one of its newscasts to accommodate the new primetime schedule. 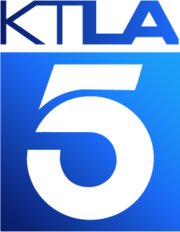 Starting this Sunday, KTLA 5 will be moving its Sunday Edition newscast up two hours earlier from 9:00 to 7:00 p.m. so that The CW’s new primetime schedule can air from 8:00-10:00 p.m. Originally supposed to start next week, it will debut this week to air the first night of the iHeartRadio Music Festival from Las Vegas. The newscast is anchored by Rick Chambers and Courtney Friel and will now create a two-hour news block from 6:00-8:00 p.m., with the latter hour competing against KABC 7 (ABC)’s own hour-long nightly 7:00 p.m. newscast for Independent station KDOC 56 (Ind). Even the newscast itself has had a varied history when, at first, it aired as a two-hour block from 8:00-10:00 p.m. when it started in 2011. Then when the 11:00 p.m. news debuted in 2014, the newscast was cut to just one-hour starting at 9:00 p.m. where it has aired ever since until now. Don’t expect KTLA to add 7:00 p.m. news on any other night anytime soon. However, a fact to point out here… this will be the first time since 1965 that KTLA has aired a local newscast at 7:00 p.m. So there you go… just a shift, not a cancelation here as The Sunday Edition remains alive. ← Small minor newscast changes… #239. I think KDOC should stop airing ABC 7 news entirely and get out of the news business to stay true to its independent and syndic-friendly roots.